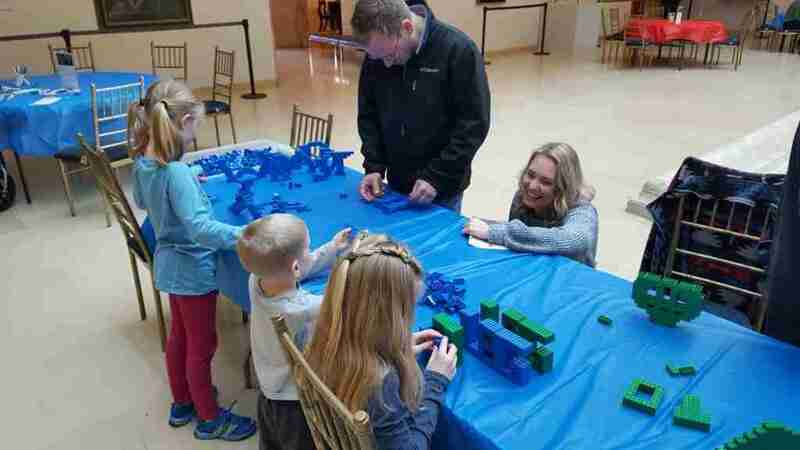 On Saturday, March 9th, members of ConnLUG were on hand at the Wadsworth Atheneum – America’s oldest continually operating public art museum – to help families explore their artistic side through the medium of LEGO®. 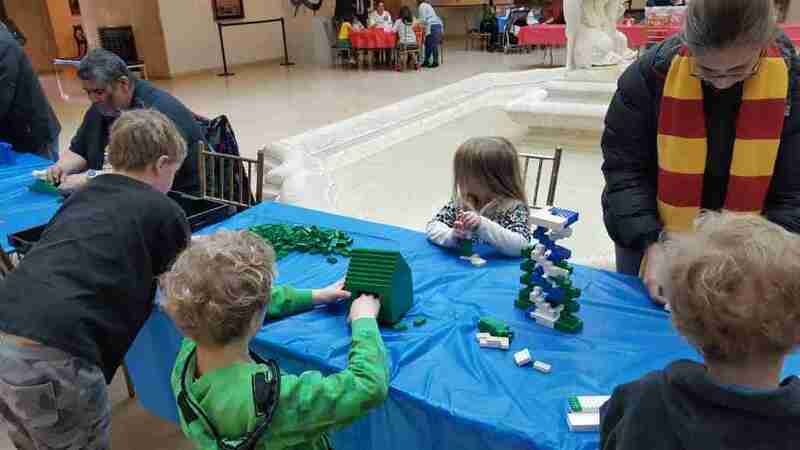 A family of visitors builds with LEGO® bricks. 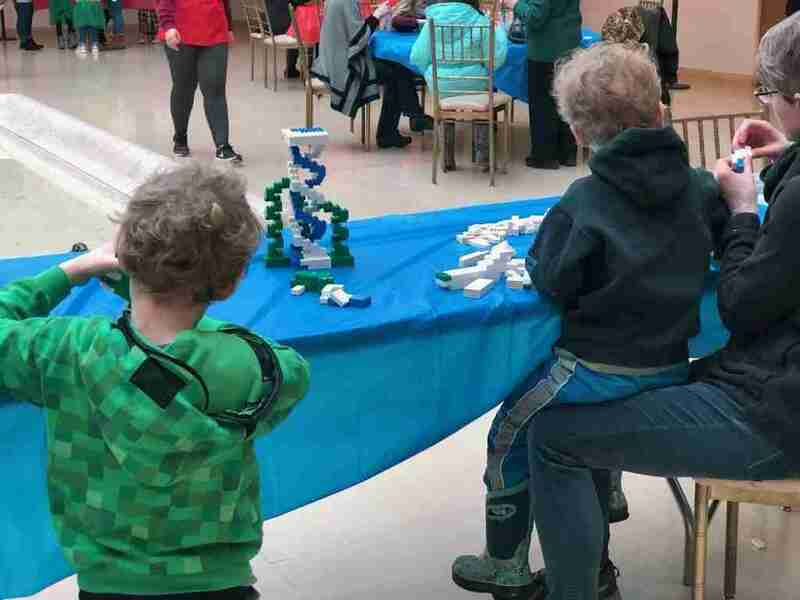 As part of the Wadsworth’s Second Saturdays program, a variety of activities centered around the theme of sculpting were available throughout the museum. 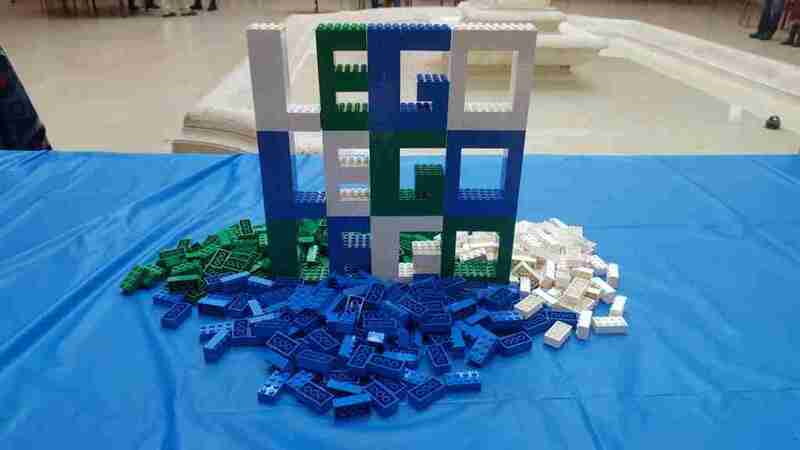 At ConnLUG’s table, builders were limited to 2×4 bricks in blue, white, and green. Nevertheless, visitors were able to build some impressive creations. Two young builders build with white, green, and blue bricks. Builders, including member Ivan Santana, work to build a variety of creations. A celebration of LEGO® bricks built out of LEGO® bricks! 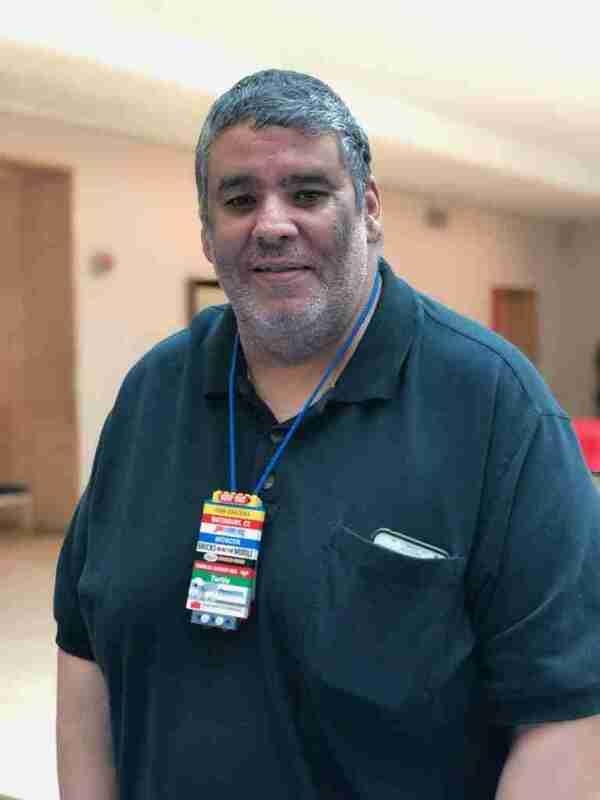 ConnLUG member Ivan Santana, one of the attendees at the event. Second Saturdays at the Wadsworth Atheneum offer free admission on the second Saturday of every month. The museum features a variety of educational and creative activities in one of Connecticut’s most beautiful museums. The museum reported an estimated 300 visitors during this Saturday’s activities. 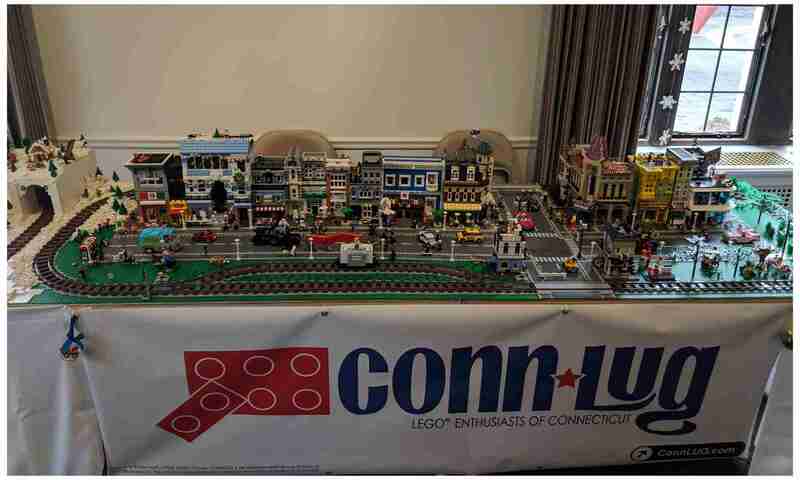 ConnLUG was glad to be a part of this event and inspire creativity in the families that we met. Thank you to ConnLUG Ambassador Stephen Struble and members Ivan Santana and Jeffrey Nolan for their attendance and help in facilitating the event.